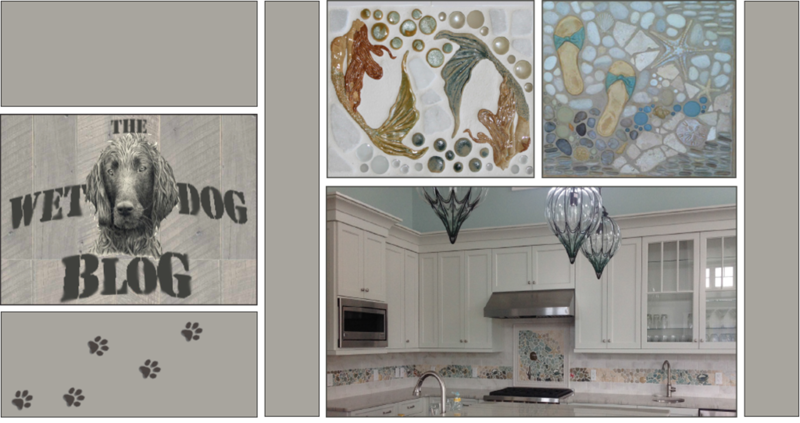 A New Wet Dog Tile Studio! As most of you may know, with two weeks left of 2016 our tile studio caught on fire and was unsalvageable. Thankfully, everyone was safe and we were able to save a good portion of our materials and tools. For the past month we've been working in a temporary studio bringing our stock levels back up as well as creating and shipping out plenty of new orders! While we've been working diligently getting Wet Dog up-and-running again, we've had a very special team of builders building our new studio that we are extremely excited for! With most of the materials cut and ready to go, the first walls went up last week - with siding and windows! This studio will have the same footprint as our last studio but will be quite a bit taller. A lot of planning has gone into this new studio and we're very excited about it! We're very happy to share our progress as a team as well as the progress of our new studio! More news and updates to follow - have a great day, everyone!